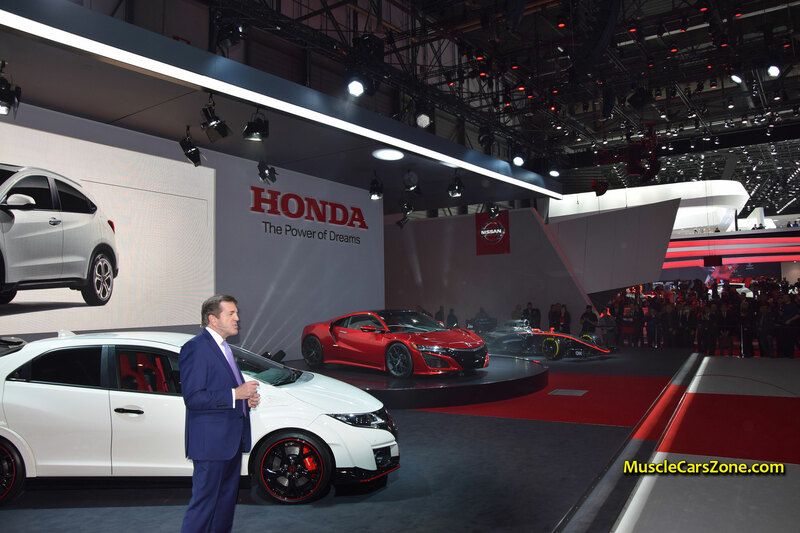 WORLD PREMIERE: HONDA CIVIC Type R 2015 @ Geneva Motor Show! You probably know some facts about the Honda Civic Type R 2015, but it will do no harm if we mention them once again. Also, with the video below we can complete the picture for this vehicle. It will be powered by 2.0 liter engine with four cylinders which is also turbocharged and direct injected. 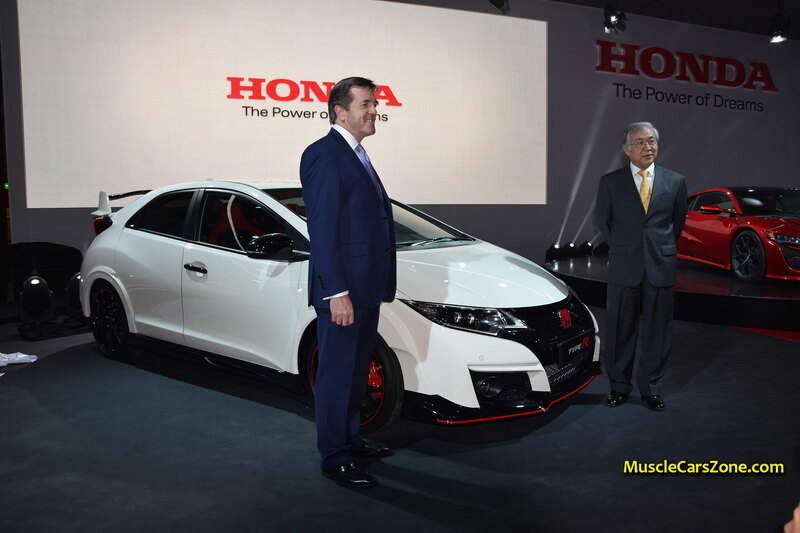 Of course, the engine comes with Honda`s VTEC (Variable Timing and Lift Electronic Control) technology, and delivers a number bigger than 276 horsepower. 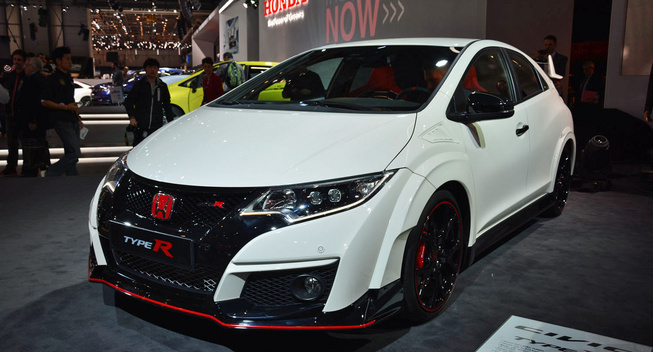 With this, the Honda Civic Type R 2015 is one of the fastest cars in production that has front wheel drive and reaches maximum speed of 167 mph. To make sure this car is stable there are many parts in charge like wide front splitter, deep side skirts, spoiler as well as a rear diffuser. Moreover, the front bumper is specifically shaped for even better improvement of stability at high speeds. Check out all of its features in the photo gallery and the videos bellow and feel free to leave your comments. 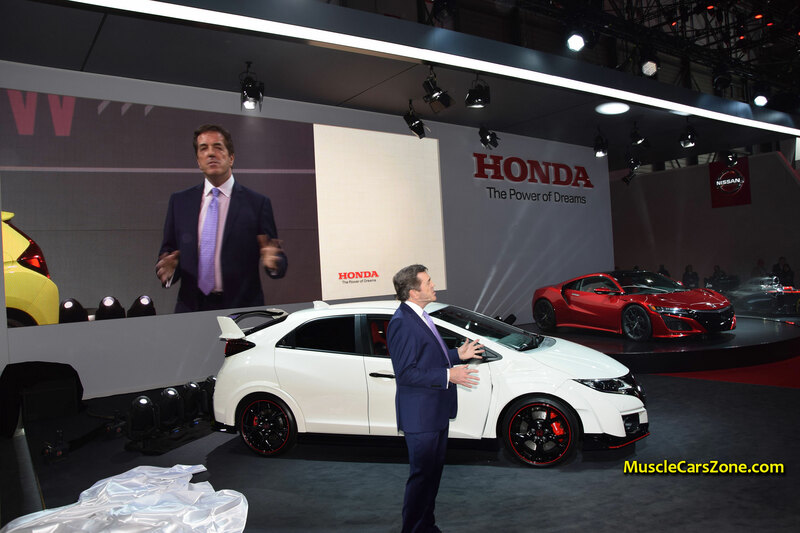 To watch the Honda Press Conference with Tetsuo Iwamura, go to PAGE 2 or CLICK HERE. 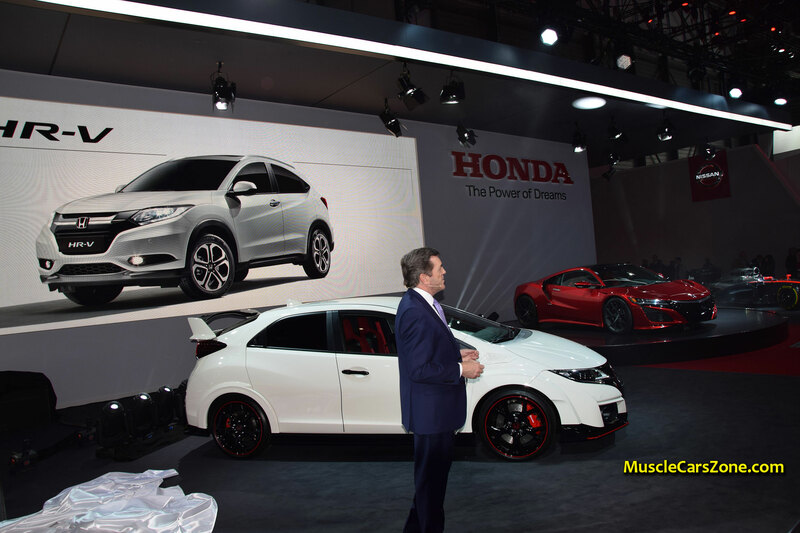 To see the 2015 Honda Civic Type R, go to PAGE 3 or CLICK HERE. 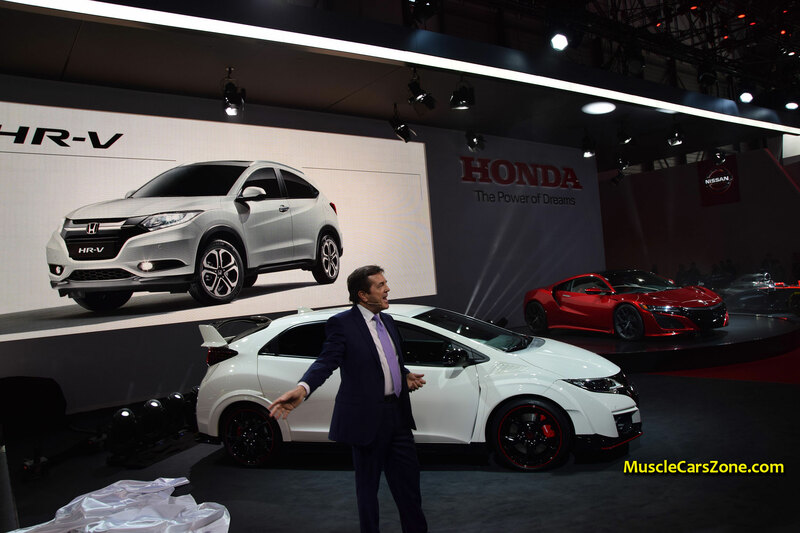 Anyway, find out some interesting facts about the Civic!